The presidents from the various Neighborhood Watch committees, along with members of the San Pedro Police Department, San Pedro Town Council (SPTC), San Pedro media houses and other concerned citizens have formed the People’s Coalition of San Pedro, with the goal of addressing and finding solutions for issues plaguing the island. 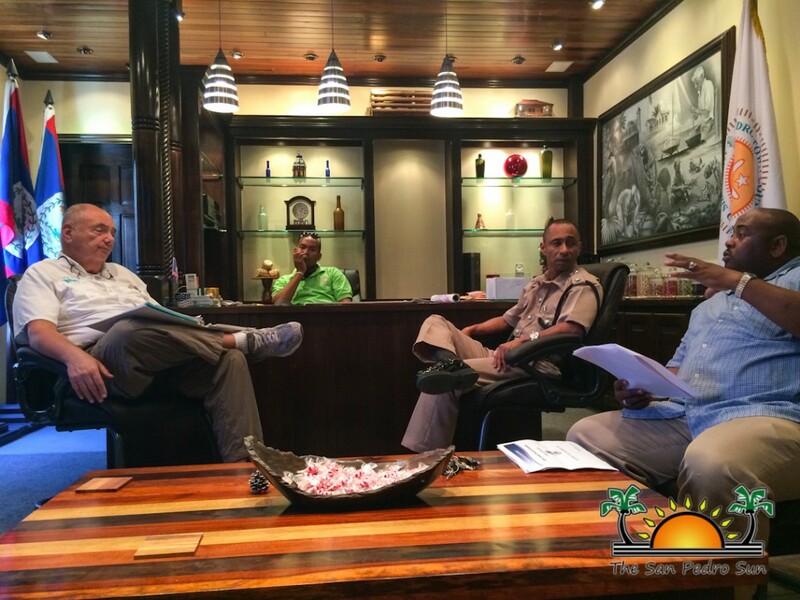 On Wednesday, January 14th, a meeting was held to discuss pressing issues that are going unsolved on the island including crime, youth issues, the need for a boat manifest, Crime Stoppers and improving public relations skills for police officers. The meeting was officiated by Steve Spiro and saw the attendance of Deputy Mayor Gabriel “Gaby” Nuñez, Councilor Gualberto “Wally” Nuñez, Deputy in Charge of Police Inspector Henry Jemmott, Officer in Charge of Police Superintendent Luis Castellanos, Janine Lopez, Josie Nuñez, Brian Cook, Janelle Cowo, Dorian Nuñez and Erik Lausen. Inspector Jemmott started by giving an update on the state of crime in San Pedro. He stated that crime has decreased since October 2014. In addition, Inspector Jemmott stated that San Pedrito area, one of the neighborhoods with a high crime rate, has seen no major incidents as police have increased patrols and response time for reports in the area. “We have seen a gradual decline in incidents since October 2014. After the crime surge in the middle of the year, we increased patrols in all major crime hot spot areas. The San Pedro Police Department has also increased patrols in Northern Ambergris Caye and have since destroyed seven make-shift sheds believed to be used by beach combers,” said Inspector Jemmott. He stated that town core still remains as a problematic area. “We will increase beach patrols and monitor the bars and nightclubs more closely in aims of reducing these problems. In order to control the problem, town core needs a Neighborhood/ Business Watch Committee to monitor the situation. Only if we come together as a community can we truly eliminate crime,” said Jemmott. In the coming months the San Pedro Police Department will be implementing an action plan geared at improving the safety of the island. “We will be conducting meet and greet activities to strengthen the relationship with community. We will also be working closely along with the neighborhood watch groups. 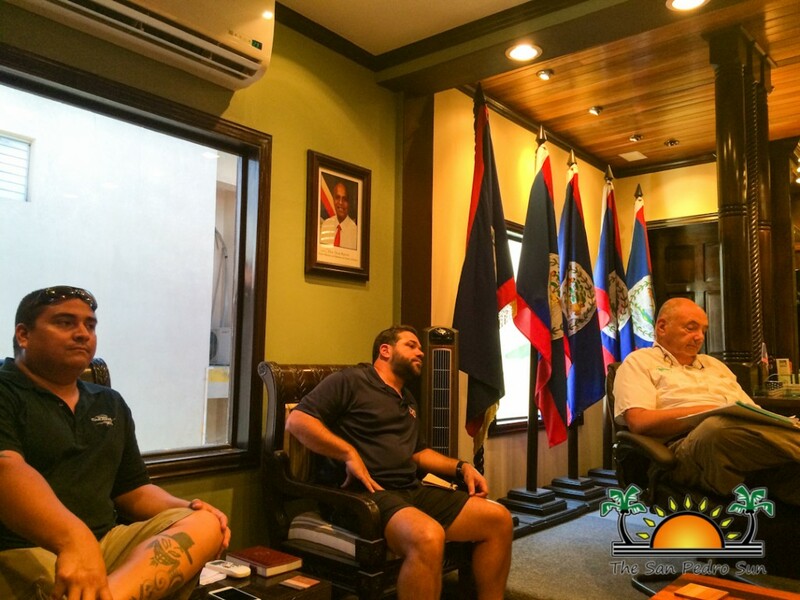 Other activities will include increased patrols across the island, joint operations with the Belize Coast Guard, Port Authority, and Immigration and Customs Department, Special Branch Unit weekly operations and increasing response time for reports. Another step that we will be taking to reduce crime is for the Criminal Investigation Unit to start monitoring prison releases. Once we find out that a known criminal has been released from Central Prison, we will keep a keen eye on that person to ensure he does not commit the same crime again. We hope that these steps will help us (to further) reduce crime on the island and ensure safety to both out residents and visitors alike,” said Inspector Jemmott. Police officers will also undergo a public relations training in February to improve the relationship between the police and community, and promote trust and respect between the two entities. It was also discussed that steps are being taken to implement a curfew on the island. The San Pedro Police believe that a curfew will assist in preventing youth related problems and reduce criminal activities committed by minors. The group hopes to implement a curfew as soon as possible but needs approval from the Government of Belize before it can be enforced. In addition, Lopez stated that besides the implementation of the curfew, more positive activities need to be implement for our youth. “Some children simply do not want to go to school. And there is no organization here on the island that provides skills training for these children. Investments should be made to provide programs for teens to get involved in the tourism industry. Many children prefer learning a trade or a skill rather than in school,” said Lopez. The next issue on the agenda was the implementation of the boat manifest. No advancements have been made in implementing the boat manifest as it can only be mandated by the Government of Belize. The group is attempting to get an audience with Honorable Manuel Heredia Jr. to discuss the necessary steps needed to be taken to implement the manifest. An update on the manifest will be provided as it becomes available. The last issue discussed was the revival of Crime Stoppers. Councilor Wally Nuñez is now the island coordinator and will be carrying out education efforts in the coming months. Residents are encouraged to use the Crime Stoppers hotline to report criminal activities anonymously. Awards are offered to persons that assist in solving a case. To report any type of crime anonymously call the Crime Stoppers hotline at 0-800-922 –TIPS (8477). To report timely emergencies call the San Pedro Police Station directly at 206-2022. The next People’s Coalition for San Pedro meeting will be held in February 2015.